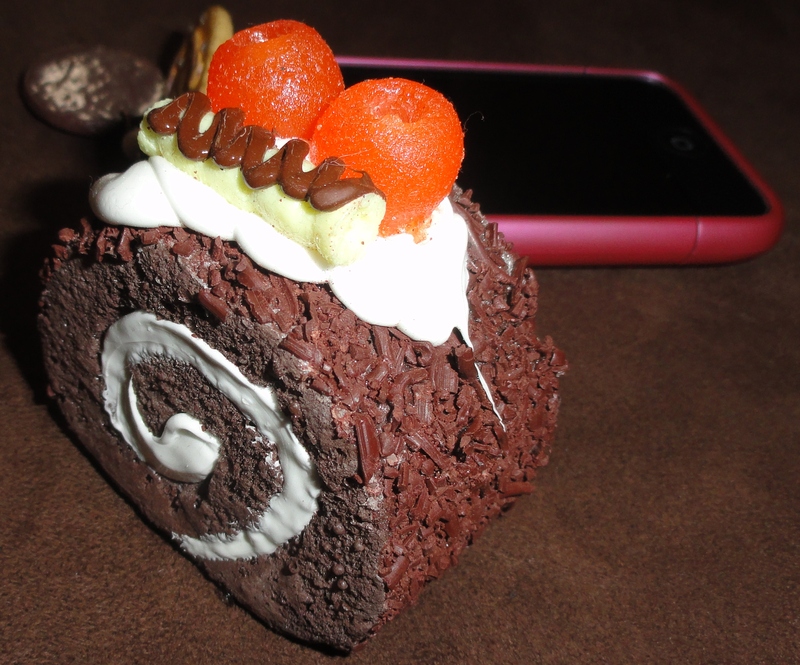 Swiss Roll!!! でも, 本物じゃなーい! Keyringだよ! Keyring!!! | Japaneze Jusu!!! ようこそ!!! Swiss Roll!!! でも, 本物じゃなーい! Keyringだよ! Keyring!!! I own various keyrings! I own keyrings which look like cats, dogs, sweets and cakes! As you can see, this is one keyring which I own! I bought this at an event called “Hyper Japan”. When I saw this keyring, I knew that I was going to buy it! It’s fairly large and quite heavy so it weighs down my phone…However, it’s sooooo cute! I love how much it looks like a swiss roll! Every time my phone rings, I bring it out and everyone super look at my phone as if to say “Wow, this girl is crazy!” LOL! In addition, there are times where I have been told “Wow, this looks real? Is it real? I wanna eat it!” lol. I bought this keyring because it’s unique and it’s not a keyring which you often see! I love it! ← Conor Maynard “Vegas Girl” – New Future UK Release!! !